Acrylonitrile Butadiene Styrene - ABS. ABS is an opaque thermoplastic and amorphous polymer. ABS (Acrylonitrile butadiene styrene) with chemical formula (C8H8)x· (C4H6)y· (C3H3N)z) is a common thermoplastic polymer. ABS has glass transition temperature of around 100 °C. ABS material is amorphous in nature and thus has no true melting point. Instead of burning, ABS liquify which allows them to be easily injection moulded and then subsequently recycled. By contrast, thermoset plastics can only be heated once (typically during the injection moulding process). The first heating causes thermoset materials to set, resulting in a chemical change that cannot be reversed. If you tried to heat a thermoset plastic to a high temperature a second time it would simply burn. This characteristic makes thermoset materials poor candidates for recycling. ABS is a terpolymer made by polymerising styrene and acrylonitrile in the presence of polybutadiene. The proportions can vary from 15 to 35% acrylonitrile, 5 to 30% butadiene and 40 to 60% styrene. The result is a long chain of poly-butadiene criss-crossed with shorter chains of poly(styrene-co-acrylonitrile). The nitrile groups from neighbouring chains, being polar, attract each other and bind the chains together, making ABS stronger than pure polystyrene. The styrene gives the plastic a shiny, impervious surface. The poly-butadiene, a rubbery substance, provides toughness even at low temperatures. 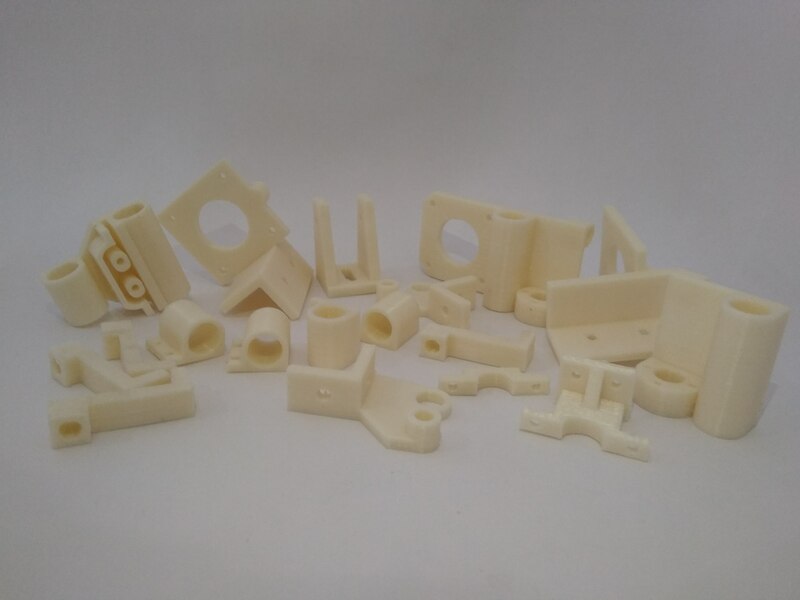 For the majority of applications, ABS can be used between −20 and 80 °C (−4 and 176 °F) as its mechanical properties vary with temperature. The properties are created by rubber toughening, where fine particles of elastomer are distributed throughout the rigid matrix. There are countless applications for ABS. Among the most widely identifiable are keys on a computer keyboard, power-tool housing, the plastic face-guard on wall sockets (oftentimes a PC/ABS blend), and LEGO toys.